Sunflower oil is light in taste and appearance and supplies more Vitamin E than any other vegetable oil. 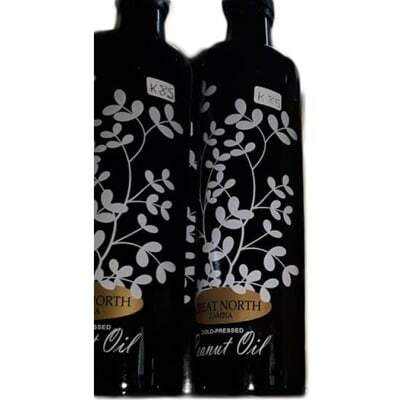 It is a combination of monounsaturated and polyunsaturated fats with low saturated fat levels. 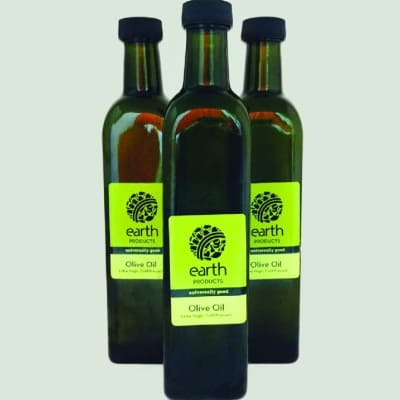 Ingredients: 100% Organic Sunflower Oil, Cold Pressed. No Stabilizers added. Sunflower oil is light in taste and appearance and supplies more Vitamin E than any other vegetable oil. 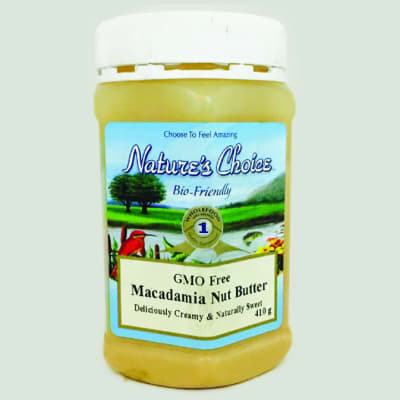 It is a combination of monounsaturated and polyunsaturated fats with low saturated fat levels. 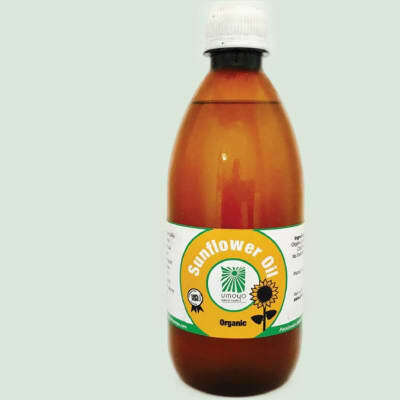 Uses >Sunflower oil is used for constipation and lowering “bad” LDL cholesterol. >Some people apply sunflower oil directly to the skin for poorly healing wounds, skin injuries, psoriasis, and arthritis; and as a massage oil. >In foods, sunflower oil is used as a cooking oil. How does it work? Sunflower oil is used as a source of unsaturated fat in the diet to replace saturated fats. Made from pure organically grown sunflower seeds produced by small-scale farmers in Chongwe, Zambia. Crushed nuts, dark chocolate. Chocolate Almond Butter is made from dry-roasted crushed almonds and 71% dark chocolate and nothing else. Aside from its wonderful taste, Oh Mega chocolate almond butter contains less sugar than regular chocolate nut butters, is a great source of protein, vitamin E and dietary fibre. Ingredients: Almonds, 71% dark chocolate(organic cocoa paste, sugar, organic cocoa butter). Allergens: Tree Nuts. Manufactured in a facility that processes nuts, including peanuts. Typical Nutritional Information average values for ready to eat product Per 100g Per single serving (15g) Energy 2358kj 354kj Protein 22.4g 3.4g Glycaemic carbohydrate 7.4g 1.1g of which total sugar 7.4g 1.1g Total fat 55.1g 8.3g of which saturated fatty acids 7.5g 1.1 of which trans fats <0.1g <0.1g Cholesterol 0mg 0mg Dietary Fibre 7.6g 1.1g Total Sodium 13mg 2mg Keep refrigerated after opening to reduce natural oil separation. Crushed Nuts, nothing else. Almond butter is made from dry-roasted crushed almonds- and nothing else.Aside from its wonderful taste, Oh Mega almond butter, is a great source of protein, vitamins, minerals and dietary fibre. Ingredients: Almonds. Allergens: Nuts. Manufactured in a facility that processes nuts, including peanuts. Typical Nutritional Information Average Values for Ready to eat product Per 100g Per single serving (15g) Energy 2496kj 374kj Protein 25.9g 3.9g Glycaemic carbohydrate 4.5g 0.7g of which total sugar 4.5g 0.7g Total fat 53.6g 8.0g of which saturated fatty acids 4.4g 0.7g of which trans fats 0g 0g Cholesterol 0mg 0mg Dietary Fibre 9.8g 1.5g Total Sodium 2mg 0.3mg Keep refrigerated after opening to reduce natural oil separation. 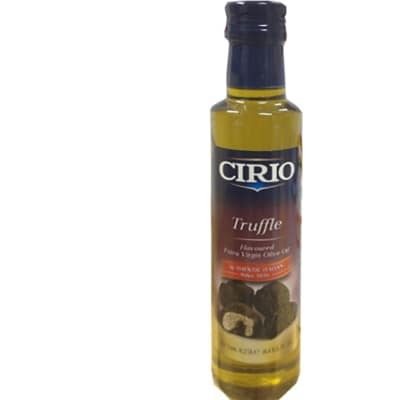 Authentic Italian CIRIO black truffle infused extra Virgin Olive Oil 250ml. It is best used to enrich traditional recipes such as pasta and rice with the unmistakable taste of truffle. It is also ideal on toasted bread served as an appetizer. Product of Italy.